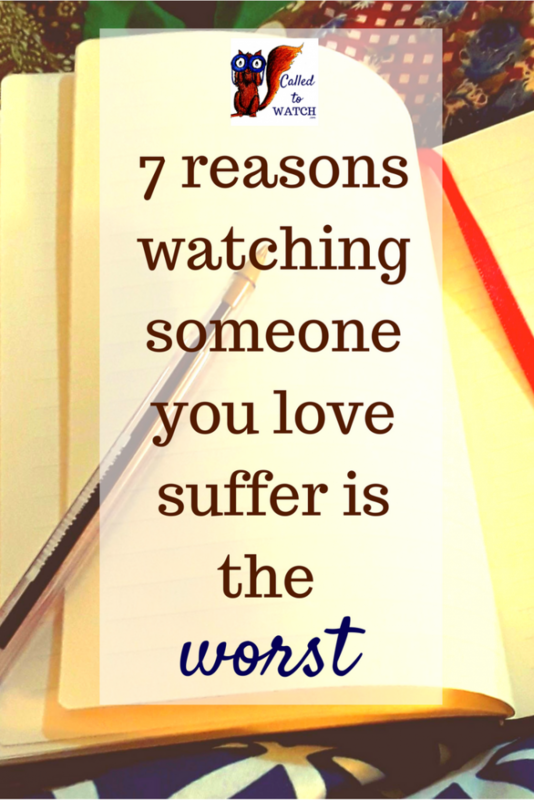 Watching someone you love suffer takes time. It gobbles up your life. Am I being dramatic? I don’t think so. Hospital visits, travel, gift buying, worrying, doctor’s appointments, grocery runs, dinner making, card writing, snuggling, hugging, praying, sitting by their side – all these things take time! You may do all of these or just one of them for your suffering loved one… but either way you could be doing something else. Relationships, gym visits, homemade meals, sleep, appointments, Bible reading, career advancement, study, success, can all be snatched away when someone you love is sick. We may not even be given the choice, and the results can be severe. Having a friend who is chronically ill impacts us. It adds responsibilities and exhaustions – and it takes away naivety and freedom. Why are they sick and we healthy? Are we allowed to have fun when they can’t? Is it wrong to forget about them for an hour? After watching someone you love suffer, you will never be the same person. Watching someone you love suffer leaves you feeling alone. When someone we love suffers, we experience a new reality. Others have healthy family members – we do not. We worry about whether our loved ones will be there when we get home – others do not. We think about the future and wonder whether our ill friend will still be there – others never give it a thought. At times it feels like an unbridgeable chasm lies between us and even our closest of friends. Can anyone know what it is really like? We may feel unapplauded, abandoned and misunderstood. Do you ever feel alone? Why? To Watch is to admit we are helpless. After all, the reason we “watch” is because we cannot “do”. Try as we might, we can’t fix the situation; we can’t “make it all better”. Watching is a reminder of our fragility. It’s a confession of our lack of control, our vulnerability. It’s uncomfortable. It’s frustrating. And yet we cannot turn away. We have seen – and we cannot ‘unsee’. In this too we are helpless. Watching someone you love suffer is offensive. Sickness and suffering attacks our sense of justice. Whatever your moral code or religious belief, I think there is an inbuilt sense of indignation within each of us. If you take away the notion of “deserving” (do we deserve? Who gets to decide what we deserve?) – suffering is still a justice issue. Is pain ever right? Are tears of agony ever moral? 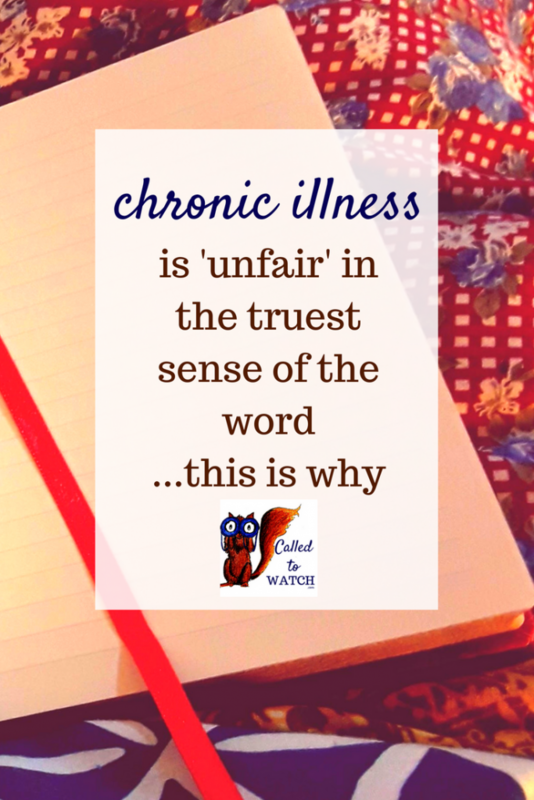 Chronic illness is not ‘fair’ in the truest sense of the word. It’s not directly related to any single action, any isolated choice. We don’t (yet) live in a ‘fair’ world. Watching means living with injustice every day. And this is hard. Illness changes people. Suffering alters lives. It does so on a micro level: people in pain are reduced to tired-er, shorter-tempered versions of themselves. They can’t enjoy certain activities. It makes them harder to love. Harder to care for. Harder to spend time with. Chronic illness also affects your relationships on a big scale. You may be a child, but instead you are the parent. Perhaps your children should be taking care of you by this time, but here you are, caring for them. Or your friendship is one where you are always giving, and never receiving. This is hard. It may also mean you may have difficulty relating to ‘well’ people. You may have less time for them. You may not understand them. 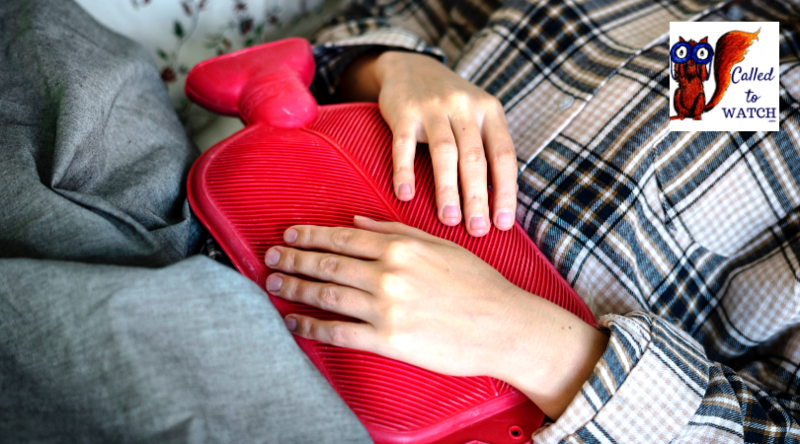 You may find yourself taking out your frustrations towards your sick friend on them – because they are able to ‘take’ it. Illness tampers with the ties that bind us together. 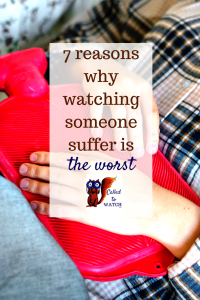 It’s not surprising that watching suffering is hard. It was hard for God too. Jesus looked out over Jerusalem and wept. He knew that it is agonising to watch those we love suffer. It is painful and heart rendering because we were made for relationships. We all have friendships and understandings and symbioses – and when these are broken, we break too. Why do we expect Watching to be easy? It is hard for God and it is hard for us. //What about you? Do you identify with any of these? If you could add to the list, what would you include?